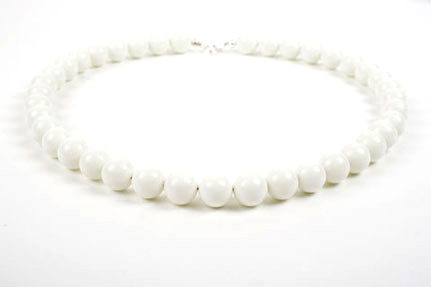 Delicate and feminine single strand necklace featuring glossy white jade beads. The white jade beads measure 10mm and are a beautiful matt/glossy pure white. 16 inches finished with a sterling silver fastening.